Huawei MediaPad M3 Tablet With Dual Harman Kardon Speakers Now In PH! Home / huawei / mobile / news / Huawei MediaPad M3 Tablet With Dual Harman Kardon Speakers Now In PH! 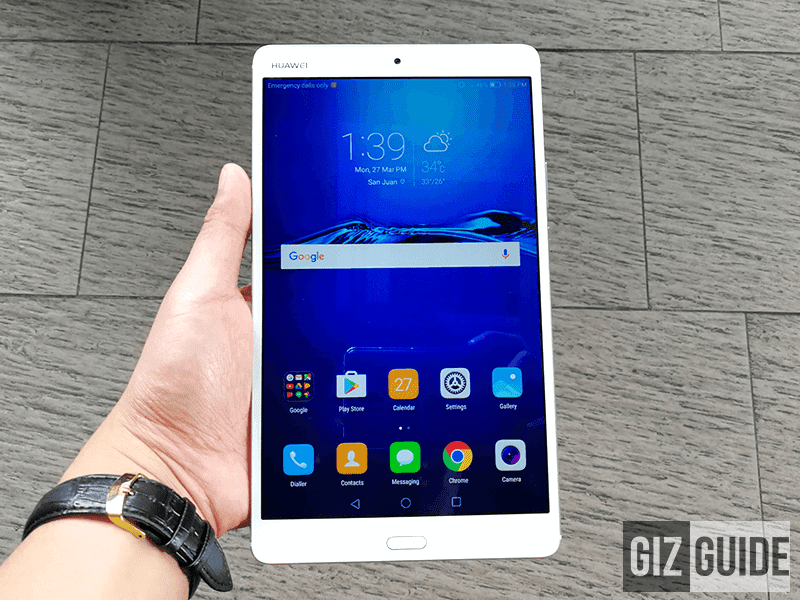 Huawei has made the MediaPad M3 official in the Philippines today. It's the company's latest flagship-grade multimedia tablet designed for your entertainment. The Huawei MediaPad M3 boast a modern, solid, and beautiful type of slim metal unibody frame w/ fancy chamfered edges. There's an 8.4 inch WQXGA IPS screen w/ very sharp 2560 x 1600 resolution at 359 ppi. It even has a capable 8 MP shooter behind! 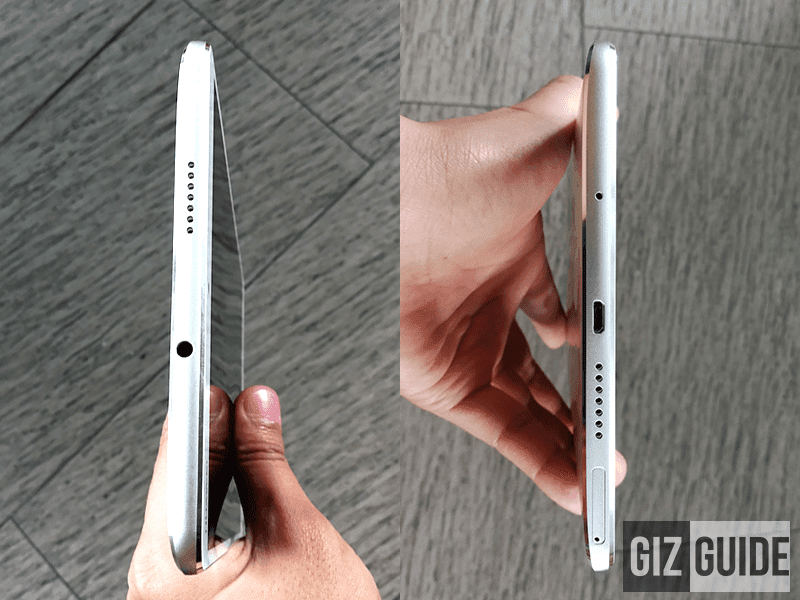 Inside, it reminds us of the Huawei Mate 8 in terms of power. This machine has the capable 2.3 GHz 64 Bit Kirin 950 octa core processor w/ an i5 co-processor paired with Mali T880 graphics. You'll also 4 GB of RAM, 32 GB of expandable storage, and 5,100 mAh of Li Pol battery. Loud, clear, and crisp dual speakers by Harman Kardon! It even has an 8 MP main camera w/ full manual controls and LED flash, 8 MP front facing camera, WiFi, LTE Cat 4 connectivity, fingerprint scanner in front, and dual SIM card slots. This phone loads on Android 6.0 Marshmallow w/ EMUI 4.1 skin. 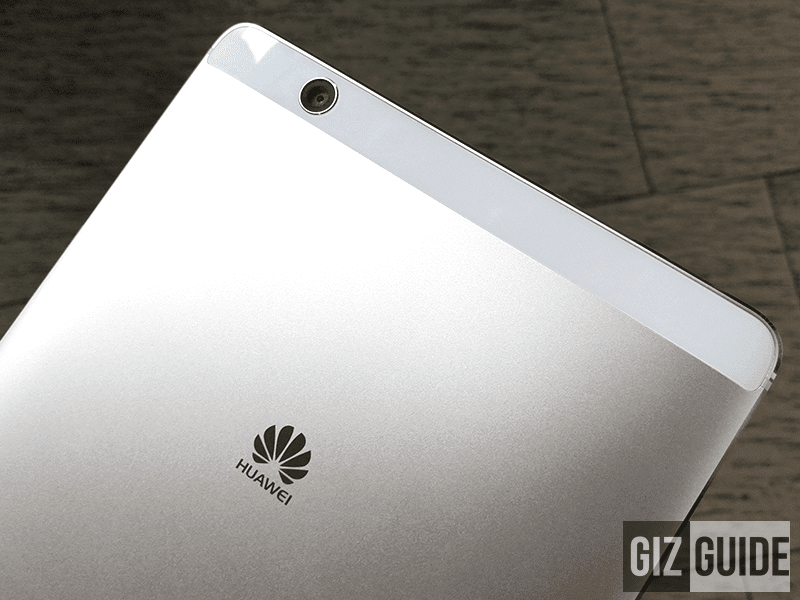 Overall, the Huawei MediaPad M3 loads with a setup that can run any apps, games, and high-quality videos you throw at it. It even has a highly detailed type of screen and very loud type of dual speakers. The MediaPad M3 is now available at Villman for PHP 18,990. It'll also retail in all Huawei stores and official re-sellers in the country soon. So far, we are enjoying the multimedia prowess of this device. Our full review will be uploaded tom!